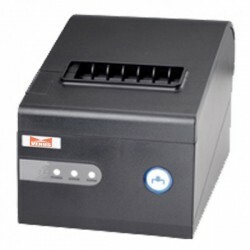 Printer Kasir Terdapat 17 produk. 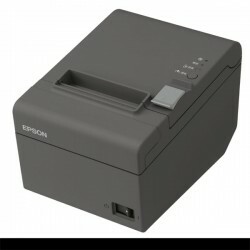 Epson TM-T82 Thermal Printer KasirAntarmuka Built-in USB + UIB (Serial atau paralel antarmuka), antarmuka Ethernet,Menerima data Buffer 4KB atau 45bytes,Kecepatan cetak Max 150mm / s,Dot Density 203 x 203 dpi. 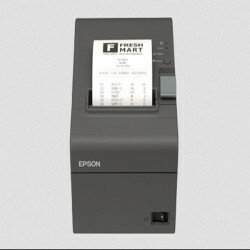 Epson TM-T82II Thermal Printer KasirAntarmuka Built-in-USB + UIB (Serial atau paralel antarmuka), antarmuka Ethernet,Menerima data Buffer 4KB atau 45bytes,Kecepatan cetak Max 200mm / s,Dot Density 203 x 203 dpi. Venus 272TC Printer Kasir Auto CutterPrinting speed 230mm,Column capacity 576 dots,Interface Parallel,Serial and USB,Lan Parallel and USB/Serial and USB and Lan,NV FLASH 256K Bytes. Venus 248TC Printer Kasir Auto CutterPrinting method Direct thermal,Printing speed 120mm per sec,Paper width 57.5 mm,Roll paper 65mm.Paper thickness 0.06 -0.08mm,Column capacity 384 dots per line. 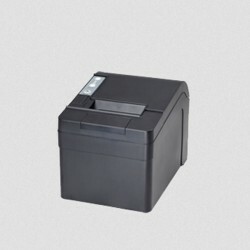 Venus 248T Printer Kasir Non Auto CutterPrinting speed 120mm per sec,Column capacity 384 dots per line,Interface Parallel atau Serial atau USB atau LAN,NV Flash 64K Bytes,Input buffer32K Bytes,Non Auto cutter. 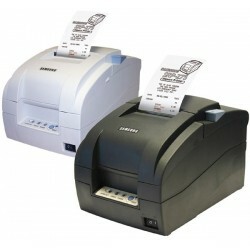 Venus 7522DCS (Serial) Dot Matrix Printer KasirPrinting speed 4.5 line per sec,Column capacity 400 dots per line,Interface Serial,Black mark detection support,Input buffer 64K Bytes,Auto cutter Full or partial optional. 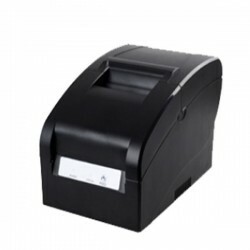 Venus 7522DCP (Parallel) Dot Matrix Printer KasirPrinting speed 4.5 line per sec,Column capacity 400 dots per line,Interface Parallel,Black mark detection Support,Input buffer 64K Bytes,Auto cutter Full or partial optional. 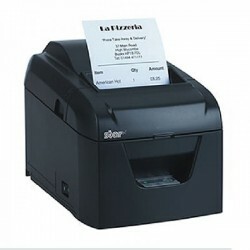 Venus 7522DCU (USB) Dot Matrix Printer KasirPrinting speed 4.5 line per sec,Column capacity 400 dots per line,Interface USB interface,Black mark detection Support,Input buffer 64K Bytes,Auto cutter Full or partial optional. 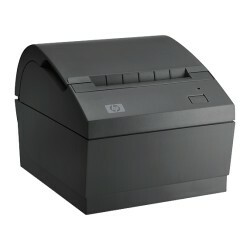 HP PUSB Penerimaan Thermal Printer dirancang untuk lingkungan ritel dengan desain dan cetak kinerja tahan lama . Ukurannya yang kecil juga membuatnya sempurna untuk lokasi ruang terbatas.